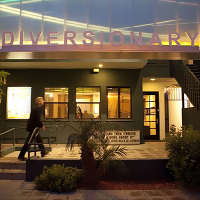 Diversionary Theatre was founded in 1986 to provide quality theatre for the lesbian, gay, bisexual and transgender communities. The mission of the theatre is to provide an inspiring and thought provoking theatrical platform to explore complex and diverse LGBT stories, which influence the larger cultural discussion. Our vision is to foster and amplify the next generation of LGBT voices providing live entertainment in a dynamic, inclusive and provocative environment that celebrates and preserves our unique culture.